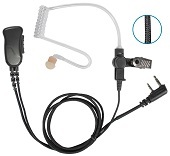 "RECON" EH-1000/1300(SC/XC/X) Series - Medium Duty Surveillance Earphone: LISTEN ONLY acoustic tube earphone with NEW TWIST CONNECTOR. 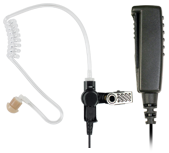 Available with straight or coiled cable in three different cable lengths. 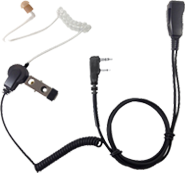 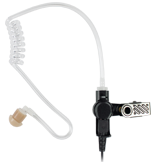 LMC-1GH99AT Series Lapel Microphone with SWIVEL (we call G-Hook) Earpiece for cellphones and tablets that can be used on either ear and is easy to clean and use. 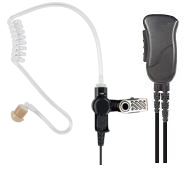 REPLACEABLE CABLE Trooper® SPM-2100 Series - Heavy Duty Speaker Microphone with replaceable cable. 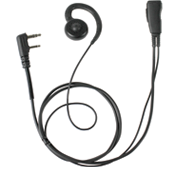 Water and rain resistant.